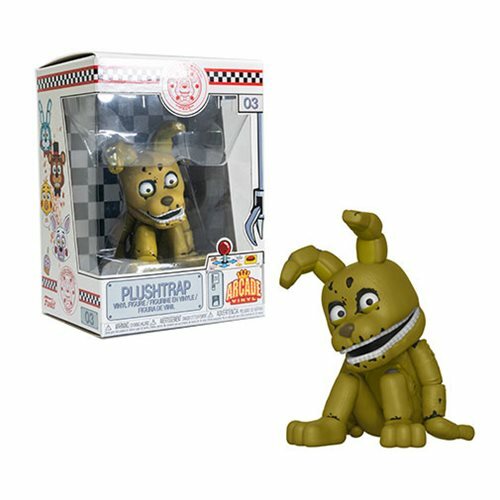 From Five Nights at Freddy’s comes a stylized vinyl figure of Plushtrap! Add this Five Nights at Freddy’s Plushtrap Vinyl Figure to your collection. Funko,Five Nights at Freddys,Vinyl Figures,From Five Nights at Freddy’s comes a stylized vinyl figure of Plushtrap! Add this Five Nights at Freddy’s Plushtrap Vinyl Figure to your collection.